When our rabbits become older they lead a slower pace of life, unless we monitor and adjust feeding patterns accordingly, there is a higher risk of pets gaining weight and becoming obese. Obesity can be a contributing factor in the case of other conditions such as arthritis, heart disease and pododermatiitis. It can also be dangerous in cases of anorexia as they will metabolise fat which can be lead to hepatic lipidosis. 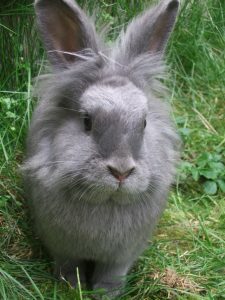 Rabbits should have a diet of high fibre pellets, add lib grass, hay and greens to prevent obesity and to lose weight. Follow this link for a good guide on rabbit body condition scoring. If you are concerned about your rabbit’s weight in their older age, why not book in for a geriatric check with one of our nurses. These appointments are available for rabbits over the age of 7 years old and are running during the month of November only. Lottie is a lovely 15 year old cat who came to see us as her owner noticed she was becoming unsettled at night and wasn’t eating as much as she used to. Her behaviour had changed and she was sleeping in unusual places. Her owner had also noticed that her pupils looked bigger. The vet examined Lottie and could feel an enlarged thyroid gland in her neck. She also had a high heart rate and had lost some weight, which can be symptoms of an overactive thyroid gland. 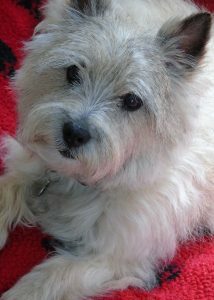 Due to Lottie’s age and symptoms, we recommended some blood tests and to check her blood pressure. Lottie’s blood pressure was very high and had caused damage to her eyes, resulting in her retinas (the back of the eye) in both eyes to start to become detached. This can cause permanent blindness unless it is caught early. Lottie was started on tablets immediately to try to bring her blood pressure down, and she was very lucky that her condition was diagnosed early and she has not suffered permanent damage to her eyes. Lottie was also diagnosed with hyperthyroidism and the early stages of chronic kidney disease, which we are now successfully managing. Lottie comes into our Cat Clinics on a regular basis to have her blood pressure measured with the nurse. This is very similar to when we have our own blood pressure checked, and doesn’t cause any pain or discomfort. Blood pressure can be affected by stress so we recommend that these checks are carried out on our dedicated Cat Clinic days, which are Tuesdays and Thursdays at our Stoke Road surgery. It only takes a few minutes and we encourage owners to stay with their cats whilst this is being done to help them feel more at ease. 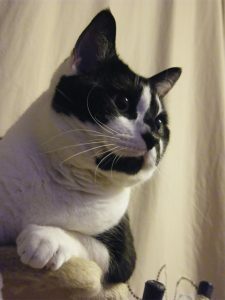 High blood pressure is being recognised more commonly now in older cats and, if left untreated, can lead to blindness as well as damage to the heart, kidneys and nervous system. 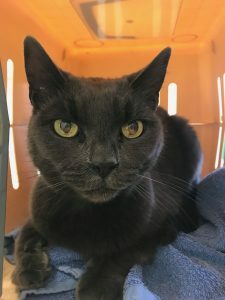 It is important to monitor blood pressure in older cats, and we recommend that cats above 7 years of age come in once a year for a routine blood pressure check. Cats already on treatment for other conditions may be asked to come in more regularly for monitoring. Our older bunnies can suffer with ‘age-related’ conditions the same as other species. One common problem is dental disease, which can present in a number of ways, such as abscesses, malocclusion and tooth root conformation. Malocclusion may occur in an older rabbits due to a tooth root abnormality or missing opposing tooth. Overgrown teeth in older rabbits is common and can penetrate the gums, cheeks, tongue and lips, which can cause ulcers or even oral abscesses. Rabbit’s teeth are continuously growing around 2-3mm a week. Therefore it is best to keep the diet as natural as possible to grind down their cheek teeth effectively. If your rabbit is not eating properly or losing weight, we recommend they are checked for abnormal dentition. 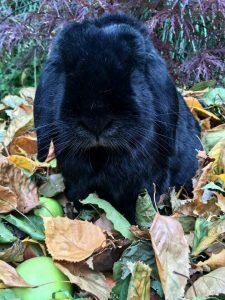 During November, we are offering free health checks for rabbits over the age of 7 years. These clinics are available with one of our veterinary nurses, at our Walnut Tree, Stoke Road and Willen branches. Call our reception team today to book an appointment for your rabbit.